My family is alive and well. Puerto Rico went through major devastation with Hurricane Maria last week. Many are still without homes, electricity, water and communication. Keep praying for my beautiful Puerto Rico. In the meantime, I am keeping positive and waiting to see what is the best way I can help. I will keep moving forward praying and believing one day at a time things will get better. I want to be part of that process. This whole month I focused on a particular design for most my projects. 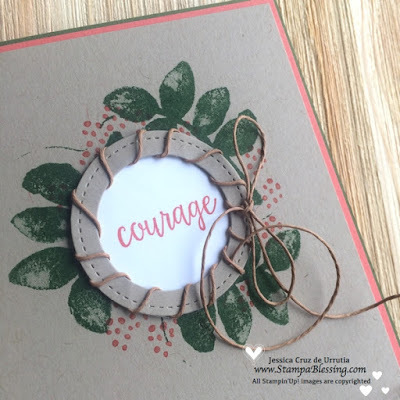 Is all about wreaths! 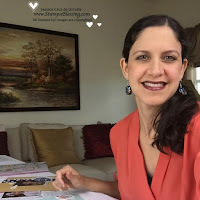 You can see my many creations and others under the hashtag #stampablessingchallenge or visiting my Stamp a Blessing Facebook Group here. This is our last week sharing many ways to make wreaths. I have several people participating to win a stamp set at the end of the month (09/29) while sharing their own creations with what they have. So excited to see you all creating wreaths with me! Yay! 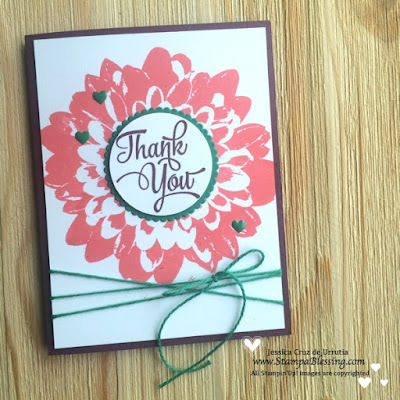 Don't you think this background stamp Definitely Dahlia set is perfect for a "wreath"? 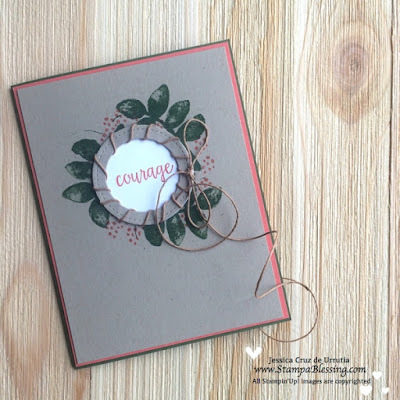 Loved placing my center sentiment and making a simple card with it.